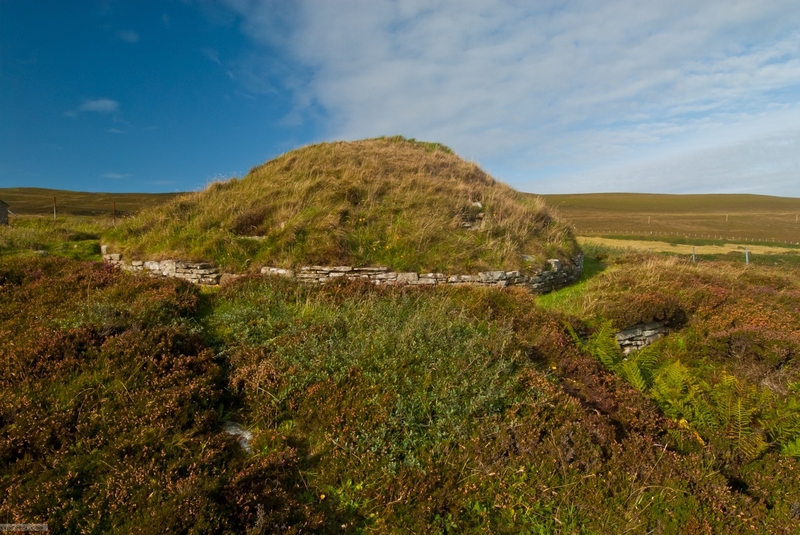 The south coast of Rousay, in the Orkneys, is a treasure trove of prehistoric monuments. Within a few miles of the Trumland ferry terminal are several chambered cairns, and other ancient monuments including the fantastic remains at Midhowe. One of the chambered cairns is this one, at Taversoe Tuick, with views across to Orkney Mainland. You can enter inside the cairn and see the inner chambers. Our family loved Rousay and our kids really enjoyed exploring the chambered cairns.